The UN recognise that one of the biggest challenges to the success of the Sustainable Development Goals (SDGs) will be bringing them to rural communities in Africa. Extreme poverty, inadequate health systems, food scarcity, limited access to water and electricity, poor education and gender equality are just some of the factors that combine to create a system of despair. How do you bring sustainable development to such an environment? 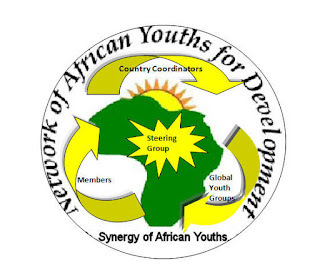 Leading African youth development activists believe one way forward is to co-ordinate and collaborate the efforts of as many youth-led SDG empowerment efforts in Africa as possible right at the start of the 15 year period - the resulting synergy will encourage more effective progress. Such an initiative was started in early January and currently 41 country focussed teams are being created. Youth in continental Africa are meeting the challenge of Goal 17 - ' Revitalize the global partnership for sustainable development' by building a cross-continental network linked to global youth networkls. The following Vision, Mission and Key Objectives have been developed. Our mission is to empower African rural communities with the UN Sustainable Development Goals through youth-led co-ordinated and collaborative information, implementation, monitoring, lobbying and advocacy campaigns. Many challenges lie ahead, but if we all believe in the bigger picture, this initiative will succeed simply because we have each others hands to hold to help us face these challenges together.